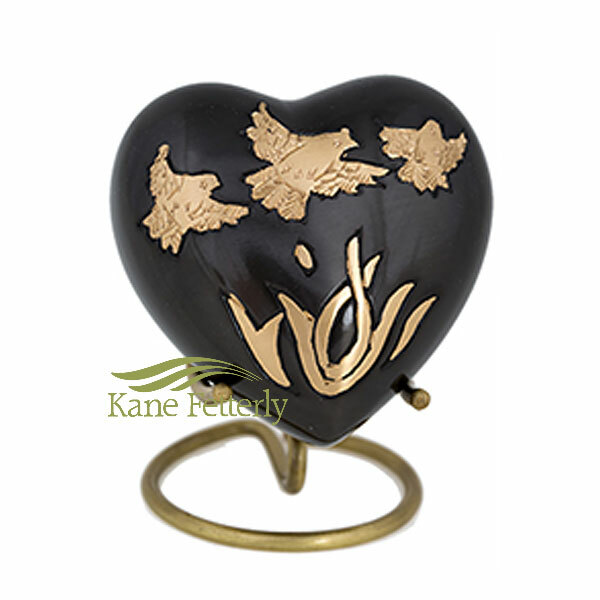 Brown heart miniature urn with flying doves and floral motif. Engraving not available because of limited space. Also available as a full-size urn and a miniature urn.